From the Archive: A British Television Blog: Sherlock Series 2 Soundtrack......Amazing! The following article was written at the time I wrote IOU AFall: The Reichenbach Fall. I often write additional articles at the time I view a program that somehow tie into that program I am watching. Whether it is a DVD extra, soundtrack or even a whole other program these articles are kept back get published when I do not have time to write a new article or if I want to take a week off. Enjoy! Even though this is an article about the soundtrack to Series 2 of Sherlock, please note that some plot points may be given away. Please read at your own risk. One of the things I love about the BBC series Sherlock is how good everything is about the production. I love the way the series is shot, I love the casting, and I love the stories. Not surprisingly, I love the music. The music for any series or film needs to match the balance of the production. Cheesy synthesized music doesn’t work for a series that is trying to be more than television. I guess where I am coming from is thinking of television shows in the 1980s that were let down by the quality of the music. Money needs to be spent in the budget on music. Yet I don’t mean musicians; I mean talented composers. For Sherlock we are lucky with who have working on this series. 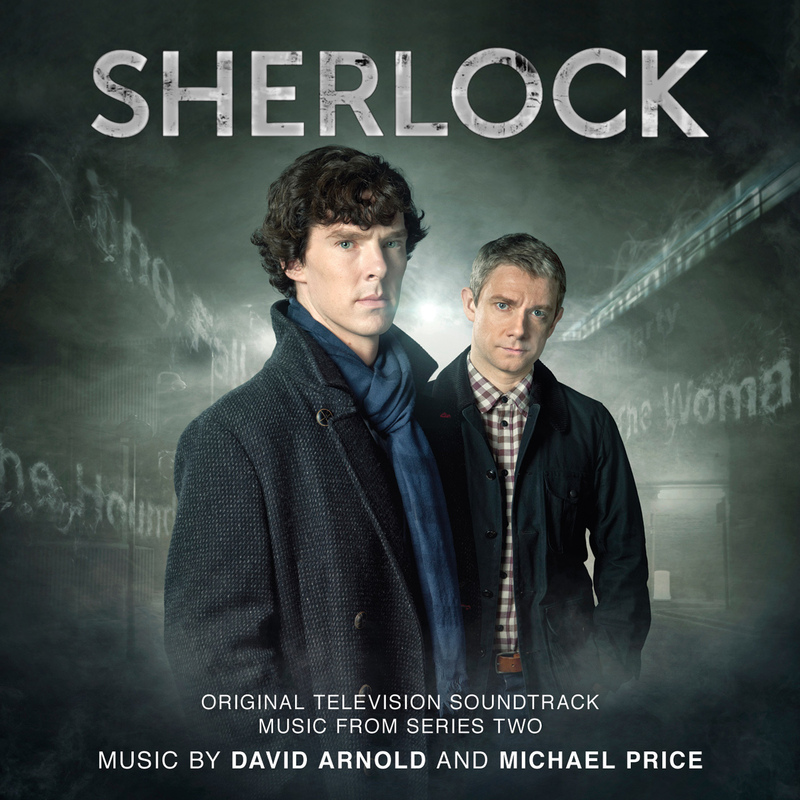 Composing the music on Sherlock is David Arnold and Michael Price. I have to admit, I am not as familiar with Michael Price. He has done the scores for Crooked House, The Mountain Within and First Men in the Moon (which the production itself is rather nice!). David Arnold is one of my favourite composers. He has been doing the music for the Bond films since Tomorrow Never Dies. Though, sadly he will not be back for Skyfall. His score for Casino Royale is one of my favourites of all time. I have seen him get a lot of flak on Bond forums for his scores or people moaning that he has been on the films for too long. I just don’t agree with it; he is very welcome in my book. People say that a lot of his soundtracks sound the same. They do not sound the same; it’s called his style. Composers have it and that includes John Barry who did most of the Bond soundtracks from the 1960s-1980s. On a separate note, I also see Murray Gold get a good deal of flak from the Doctor Who forums about his music too. In my humble little opinion, his music is the best in the series ever. Wait? Even better than the great Dudley Simpson? Yes, much better! But we are not here to discuss Doctor Who, are we? Not available on the Series 2 soundtrack is the theme to Sherlock. It is on the Series 1 soundtrack but I don’t understand why it wouldn’t be included again. It’s a hugely identifiable part of the show. Shockingly, this is also true for the Doctor Who Series 6 soundtrack. A Doctor Who soundtrack without the Doctor Who theme on it seems odd to me but whatever. It’s funny because when I was listening to the soundtrack of Sherlock on the bus on my way to work, I added the theme music to the playlist so I guess it isn’t that big of a deal after all. I love the theme music but is it me or when the drums for the theme starts up, it sounds like we are actually getting the theme to Absolutely Fabulous? The drums begin to crescendo upwards but then I expect to hear Adrian Edmondson sing, “Wheels on fire…..” etc. Though, the drums are a nice sting transitioning us from the opening of the episode into the title sequence. Speaking of themes, one thing I love about a good soundtrack is when the main theme can be effortless inserted back into the incidental music. Maybe it’s an echo of itself or an inverted interpretation but it ties back to the series really nicely. The theme music is part of the “Brand” to the series. Why not use it? Arnold does this exceedingly well in Sherlock and also his Bond scores. In fact, not only does it give hints to the Bond theme in his scores he also inserts the theme from that movie as well. See Casino Royale for an amazing example of this. I think, perhaps, this is what some of his critics don’t like….whatever. I think some of the best music on the soundtrack coincides with the best episode, A Scandal in Belgravia. The music is beautiful from the violin of “Irene’s Theme” to the heart breaking conclusion in “SHERlocked”. It’s emotional and does not compete with what is happening on the screen. I did not care nearly as much for the episode, The Hounds of Baskerville (it was alright) but the music has some great moments. I really like the techno sound to “Deeper Into Baskerville” and also the whole track “To Dartmoor”, it starts off with a simple guitar like start to the Sherlock theme (the guitar sounds very familiar almost Hitchhiker’s Guide to the Galaxy in a way) and descends in to what feels to me an old-world Eastern European feel. Clearly, music styles is not my strong point so I am giving my opinion on what I am hearing although how I am explaining it may be completely off. Perhaps the best way to describe it is that I really like it. The tracks for The Reichenbach Fall do not stand out nearly as much as the others. Particularly with the final 3 tracks. They are very good but they are not competing with what is happening on screen. The end of The Reichenbach Fall is the biggest thing that ever happened in Sherlock. If you want to read my take on the episode, please go here. The music is subdued and complimentary to what is happening on screen. The balance is perfect. I have listened to this soundtrack about 3 times before I wrote this article. I don’t normally do that. This is one of those soundtracks that gets into your head and your mind tells you that you need to listen to it again. Listening to the tracks conjures up memories of the episodes which in turn makes me want to watch these episodes again. I guess this soundtrack is really doing its job! The only complaint I have has nothing to do with the soundtrack at all. It is to do with a quote from Mark Gatiss I read on Amazon.co.uk about this soundtrack. “If David Arnold and Michael Price did not exist, it would be necessary for man to invent them. Their contribution to Sherlock is immeasurable. Thrilling, cheeky, sinister, playful and simply world-class…the music's not bad either!” Is it possible to have a quote from Gatiss or Moffat for that matter that is not trying so hard to be “clever”? I must be a bore, these types of quotes simply annoy me and it is all about hype. I know these two guys did not invent it nor are the only ones who do it but it is still very tiresome to me. I say it’s always good to end a positive article with a rant! Just as an aside note. About a month ago, I sat down with a friend and we decided to watch A Scandal in Belgravia. That was around 8pm and my friend had not seen any of Series 2 at that point. He enjoyed it and I enjoyed it (again) so much that we ended up watching all of Series 2 in one go which took us very late into the night or should that be early in the morning? Next week: Even though I had a light week for writing, I still have been watching. I am not sure exactly what it will be but I have picked from my randomness Series 4 of As Time Goes By. It is not a series that I seek out but I do enjoy. It does beg the question, from a US perspective, whether show from the same era of As Time Goes By is the last of the big exportable BBC sitcoms exported to the US? That is a theme I will try to expand upon next week. The problem with Bond and Doctor Who music scores have nothing to do with the composer themselves. In both Gold's and Arnold's case they are given guidelines and boundaries they have to stay within because the franchise music is in someways already set before they get there. The composers do their best to put their own touch on the scores, but sometimes it is just not possible to tell the difference in the case of Gold I would be more than happy to buy his score for this show and with Arnold he has done a fantastic job on Bond each Bond actor has his own themes, but still feels like it belongs. Could you imagine being someone like Ken Thorne who composed the music for Superman 2 and 3, but was told you have to follow the guidelines John Williams set or Brian Tyler who did the music for Rambo, but basically had to follow the guidelines left by Jerry Goldsmith. Guys who don't get credit because in the end there score ends up having to use a large percentage of the other person's soundtrack and sometimes their genius touches go buy unnoticed. Sherlock's score is fantastic. What guidelines are David Arnold or Murray Gold restricted to? If you mean having to use the Bond theme for David, surely that is something he can work around. For Gold, I know he started off wanting to do more of a electronic music but still we hardly ever hear the Doctor Who theme in his music but instead he makes consistent themes for characters that we never got in the classic series. Really really love this show..waiting for the 3rd series! !..follow each other? As Time Goes By...The Last Great Britcom Export?